My name is JoAnne. I like pink. It's actually my favorite color. I absolutely love reading. I just graduated from law school (2011), and I'm supposed to be studying for the bar (key word is suppose). In truth, I don't know if I still want to be a lawyer. I really love reading. I have an e-reader. I am not sporty. Reading is my life. I can't dance. I can't sing. I co-own an internet cafe with my boyfriend. I am a freelance writer. I love reading! And the only thing I want to do for the rest of my life is read YOUNG ADULT BOOKS. When I was in law school, I did't have the time for blogging, or anything else for that matter. So, it was only 2 months ago when I tried blogging about books, and now I am completely addicted to it. As for my favorite reads, I LOVE the Iron Fey Series by Julie Kagawa. It's my number one favorite book! Q: What is the best book you've read in the last month? What is the worst book you've read in the last month?. The best book I've read was definitely Cinder by Marissa Meyer. I can't recommend it enough. I haven't read any books that were horrible, but I was disappointed with several books that I'd been really looking forward to in the past month. Specifically Everneath by Brodi Ashton and Shade by Jeri Smith Ready. There were both okay, but didn't do it for me. I really want to read Cinder and Everneath. I'm sad to see that Everneath didn't wow you. I've yet to read Cinder, but it doesn't really sound like my typical genre. I read Everneath when it first came out, but it seemed pretty interesting to me. I hope to read Cinder soon, thankfully I have not read Everneath, and the other I'm unfamiliar with. I really need to start reading Cinder, I've heard so many awesome things about it. I've heard some mixed reviews about Everneath, some love it and some are a bit meh about it. Hope you have a great weekend! Thanks for hopping by, Alison! I haven't rad Cinder yet, but I've heard REALLY good things about it! Have a fabulous weekend! I already follow you, but i haven't done follow friday in a long time. Great to see you again. I loved cinder!! Hosting a giveaway right now where one follower will win a hardcover copy actually! I haven't read Shade but I did read Everneath and I actually liked it. Cinder was amazing! I'm so glad you liked it. All 3 of those books have been on my TBR wishlist for awhile now. Sorry that you can't recommend them though. :) Maybe I'll have a different opinion whenever I get around to reading someday. ;) Hehe. Beautiful covers at least! Hope you have a fantastic weekend, hon! Ooh, yeah, I really enjoyed Cinder too! I'm holding off on reading Everneath because of all the mixed reviews I've read. Most of the ones I've read seem to weigh in as "meh", so I'm not in a hurry to get a copy. I also LOVED Cinder such a great book! I can't wait for the next book. Isn't it funny how tastes in books go. I love Shade and enjoyed Everneath but didn't like Cinder. I'm glad you did though. I don't really know why it didn't call to me. I know lots of people enjoyed it. Hi from Dana at Dana's YA Bookpile. :) Happy Follow Friday! Hi Alison! Thank you for featuring my blog this week! I loved Cinder too! Prince Kai is just so swOOOOny. :D I haven't read Everneath yet, so I can't say. But I have read Shade, and I loved it. In fact, I'm eagerly waiting for Shine! I haven't read Cinder but I did download the sample. I'm an old follower. My FF is on the linky. Have a great weekend! Oooh...heard great things about Cinder and sad you didn't like Everneath and Shade, both are on my to-read list. Oh, and Spellbound is the first book, the next one is called Spellcaster....I think. Thanks for stopping by!!! I loved Cinder! I cant wait to read the next book in the series. Great choice! I so need to read Cinder, I keep hearing amazing stuff about it. 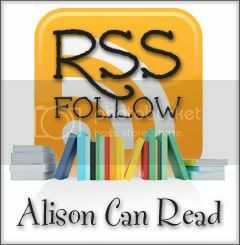 You can follow me by email, network blogs, or linky followers. Ahh I want to read Cinder SO SO SO bad :) It looks so great :D Lol. Happy friday! I really want to read Cinder. I just won Shade but now I am scared. :( Hopefully it is somewhat enjoyable. Old follower. Thanks for stopping by. I loved Cinder as well! It was such a great read. It left me dying to read the next book in the series, which is both good and torturous! Sorry you were disappointed by Shade, I really enjoyed that one. Haven't read Cinder, but I want to. I think I'm blind?!?!?! Where can I submit my FF link? I don't see the list. Hi! I'm new...sort of, I was here last week and I didn't really do everything properly. Hopefully this week I'll be better. I have Cinder sitting here waiting to be read. I haven't read the other two but they are on my list to read as well. Shade was a book i liked but didn't love. The ending is when it got me interested. Yay for Cinder!!!! :-) What a great book! I like the question this week. I love hearing about fav's and not-so-much's. Thx for hopping by!!! Great picks! I haven't had the chance to read Cinder yet, but by the sounds of thing I really need to get to it. Have a great weekend! Cinder. I have been iffy about whether or not I should read this. Shade.. I felt was good, but felt alot of people were talking up the series to be something that lacked. I loved Everneath, but I can understand how it wouldn't be for everyone. Hi, I have not read any of those novels. The code given under the new design actually is the old design code. This was a tough question to answer cuz I am so far behind on my reading. Cinder sounds like a good recommendation to add if I ever get caught up! Have a great weekend! I chose Cinder too - such an amazing book! I'm sad Everneath was a disappointment for you. I've really been looking forward to reading that. It's funny but I wasn't interested in Cinder and it seems like everyone is enjoying it. Maybe I should give it a chance. I've heard a lot about Cinder. I really need to start reading Cinder. When I first heard about it in 2011, I wasn't interested in it, mostly because the cover scares me (I don't know why it does, since I don't get scared easily), but after hearing so many great things about it in the past few months, I've decided to give it a try. My library has 11 copies (actually it doesn't, all of the public libraries in the city share books, I think everyone knows what I mean), it's going pretty fast, I was #20 (I think, I don't remember exactly) and now I'm #13. I hope that I like it too. By the way, I used your awesome advice and took off my comments verification, THANK YOU! I wish everyone did that. I loved Everneath! I'm so sorry you didn't enjoy it. Everyone talks about Cinder, and I've seen one thing about it that sounded good, but then when I pick the book up and read the back, I just don't feel like reading it. Cinder was fantastic! Definitely a very close second to Pandemonium. Or maybe tied! I do still have Everneath on my shelf, but it keeps getting pushed back. Hopefully I'll get around to it. Yes, Cinder is very popular this month. I'm glad you enjoyed Cinder, Alison! I really need to read it soon, because everyone is raving about it. 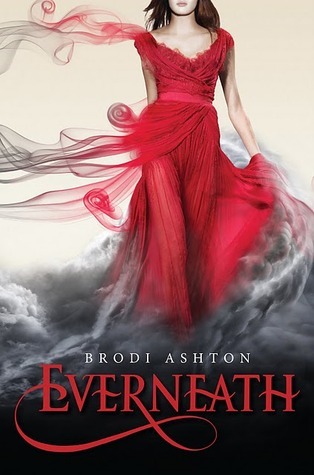 I've been hearing mixed reviews about Everneath, which is unfortunate because I've been dying to read it. I'm an old follower but I'm new to the Follow Friday Hop, and I really dig it so far! Thanks for hopping over. It's been a while since I first followed you! Ooh. I have Cinder on my to buy list. Glad you loved it! Thanks for stopping by my blog. 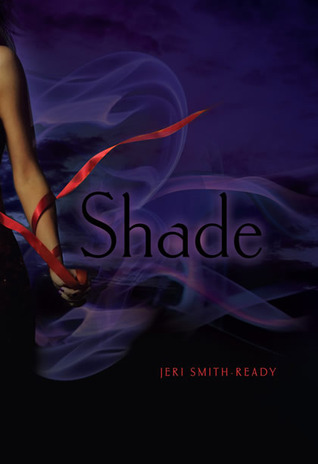 I haven't read Everneath and I preferred Jeri Smith Ready's other series better than Shade. Hey, thanks for stopping by my blog. I haven't read any of those books but I'm looking forward to reading them anyway. I'm following back! I just won Cinder in a giveaway last week! I can't wait to read it! Thanks for stopping by my blog! I have to take a look at Cinder. I love the title and the cover. Totally loved Cinder - really got swept up by the characters and story! I've literally just finished Everneath, and I see what you mean, it was... blah. Hi, thanks for stopping by. :) I'm following you of course! 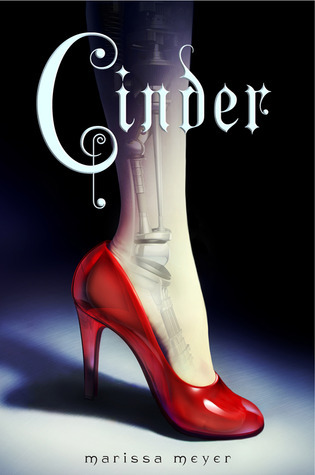 I'm absolutely dying to read Cinder, it looks really interesting and I've seen so many sparkling reviews! Everneath is on my TBR and I'll be on the lookout for Cinder, it sounds interesting. Thanks for stopping by my blog. Cinder is on my TBR list. I really need to read about it soon since everyone it talking about how good it is. Thanks for stopping by my FF! It seems like a lot of people have enjoyed Cinder! Thanks for stopping by my blog! I am an old follower, of course! Love your site. New follower via GFC. thanks for stopping by my blog this week & thanks for hosting FF as always! Thanks for hopping through. :) I haven't read any of the three books you mentioned, but I do plan on picking up Cinder sometime soon. I also didn't think Everneath was that great! I really need to get my hands on Cinder! it is a beautiful website and interesting website.you can search a lot of information from this site.I think other blog proprietors should take this website as an model, very clean and great user genial style and design, let alone the content.